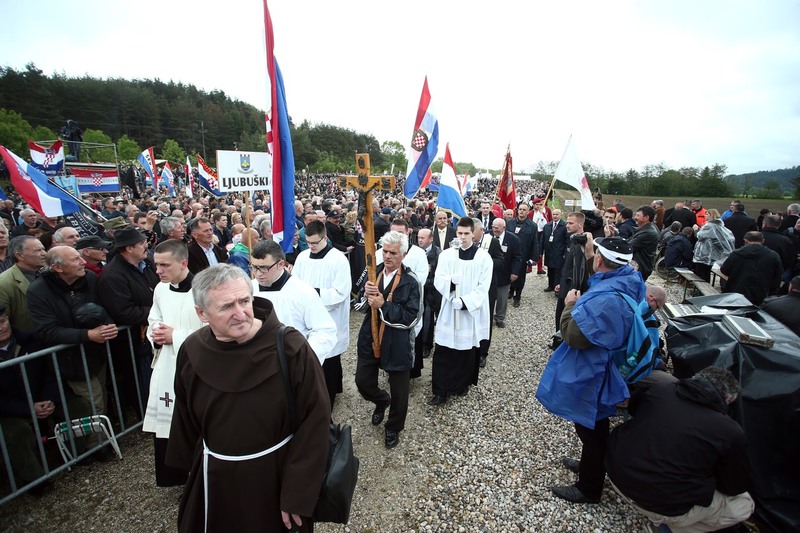 The 71st annual commemoration of Croatian victims of communism (Yugoslav) at the Bleiburg field, Austria, and along the Way of the Cross from mid-May 1945 to months after, took place under the renewed auspices of the Croatian Parliament at Bleiburg field on Saturday 14 May 2016. 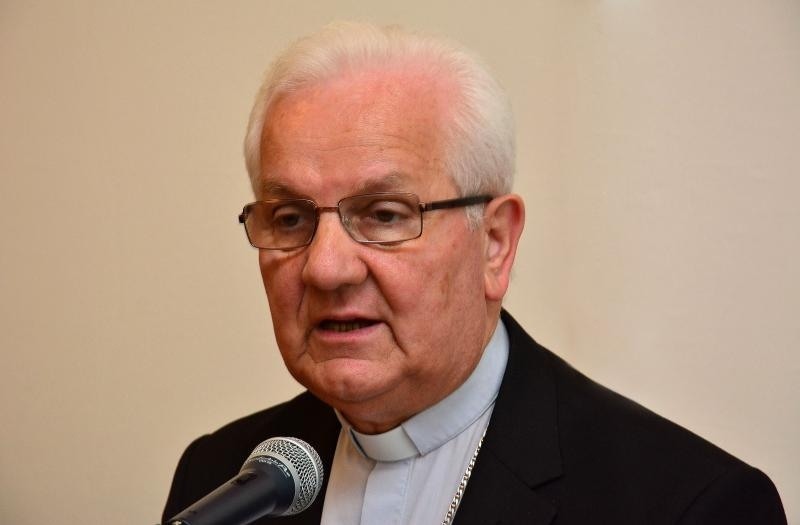 The Eucharist led by Bishop Franjo Komarica (From Banja Luka/ Bosnia and Herzegovina) embraced the compassionate and grieving hearts of more than 20,000 Croats and their guests. The Bleiburg field and death marches (Way of the Cross) symbolise the tragedy of the Croatian people that occurred after WWII had ended. The totalitarian communist regime of Yugoslavia then committed acts of horrendous violence on massive scales, violating basic human rights, including the most valuable human right – the right to life. All this, in the name of sick revenge and political agenda, which would see the undisturbed installation of communism as the only way of political thought and deed for decades to come. 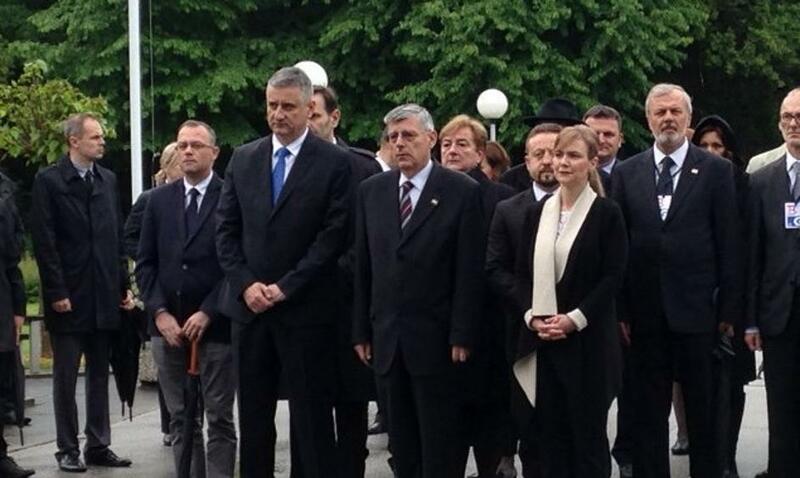 Zeljko Reiner, the President of the Parliament, Deputy Prime Minister Tomislav Karamarko (who also led a delegation on the same day to lay wreaths at the Tezno pit – mass grave filled with more than 15,000 victims of communist crimes), several ministers and MPs gathered there to personally bow their heads to the victims. Prime Minister Tihomir Oreskovic, President Kolinda Grabar-Kitarovic, and Deputy Prime Minister Bozo Petrov were not there with the masses on Saturday (although President Graba-Kitarovic did send a representative Bruna Esih), they each decided to avoid coming on that day but did get to Bleiburg privately or on the quiet the day or so before. This seems to be some sort of a new fashion or a fad in Croatia from the office of the President and Prime Minister: not joining the official commemoration, not joining the people for the occasion – just going separately under the explanation that they do not want to bring politics into commemorating! Similar thing occurred for the commemorations of the Holocaust in Jasenovac in April, at least as far as the President is concerned. Well, while politics should not interfere with commemorations for victims of these brutal crimes it does strike one that the very noticeable President’s and Prime Minister’s absence actually makes that choice of theirs very political. The President’s eye-poking purposeful absence from the official memorial ceremonies does colour commemorating the victims political no matter what the President or Prime Minister say. By not attending the official ceremonies, to my view, both the President and the Prime Minister have given their nod of approval to the Social Democrats/ the left parliamentary opposition for their absence from the official commemorations! So, the President’s and the Prime Minister’s calling for unity does not sit comfortably when in fact they practice separatism in this very important historic event for the Croatian nation. “A major problem in modern historiography is that when describing the ‘struggle for historical remembrance,’ not all victims enjoy the same privilege of commemoration. Judging by the modern media body counts, someone’s World War II dead must have priority, while someone else’s dead are meant to slide into oblivion. In Croatian historical awareness the word ‘Bleiburg’ has a special meaning, just like the word ‘Viktring’ has a specific meaning for the Slovenes and for the inhabitants of Austria’s Carinthia. Indeed, in the Croatian language the word ‘Bleiburg,’ does not evoke the images of pristine woods, skiing holidays, or a new shopping center. For many Croats this word has become a metaphysical locution designating a horrific example of catastrophically failed nation-state building. Bleiburg is not a symbol of a picturesque and romantic location, but a road sign of Croatia’s sociobiological catastrophe. 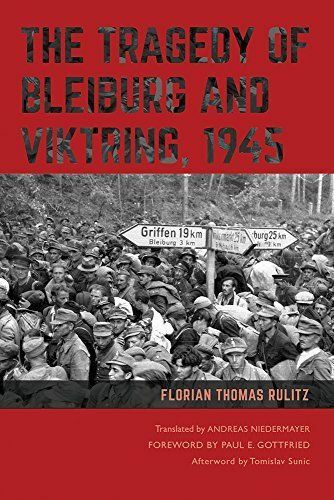 By the late May 1945, hundreds of thousands of fleeing Croats … were extradited from there to Tito’s Yugoslav partisans—courtesy of the Allied English troops in the vicinity,” wrote recently dr Tom Sunic in his review of Florian Thomas Rulitz’s book “The Tragedy of Bleiburg and Viktring, 1945. During communist Yugoslavia, the commemorations at both Bleiburg and Jasenovac were illustrative of how Josip Broz Tito’s communist dictatorship monopolised the historical narrative through public rituals. Under Tito’s – communists’ directives – the commemoration at Jasenovac (symbol of the Holocaust) served to uplift in people’s eyes and legitimate the ruling communist party, and any questioning of the official narrative or figures was strictly forbidden. Numbers of victims at Jasenovac were blown out of reality and floundered falsely, without questioning, into hundreds of thousands just because psychologically the greater the number the more horrible the crime in people’s minds. Bleiburg, on the other hand, was a taboo topic, banned and systematically erased from the cultural and historical memory in Yugoslavia, but was kept alive in the Croatian diaspora community and its press. In contrast to the state-sponsored rituals at Jasenovac, individuals paying homage to the victims at Bleiburg and its aftermath often did so at great risk to their lives – the first commemoration in Bleiburg occurred in 1952, All Saints Day, when three survivors laid a wreath at the graves of Croatian soldiers in the Unter-Loibach cemetery. 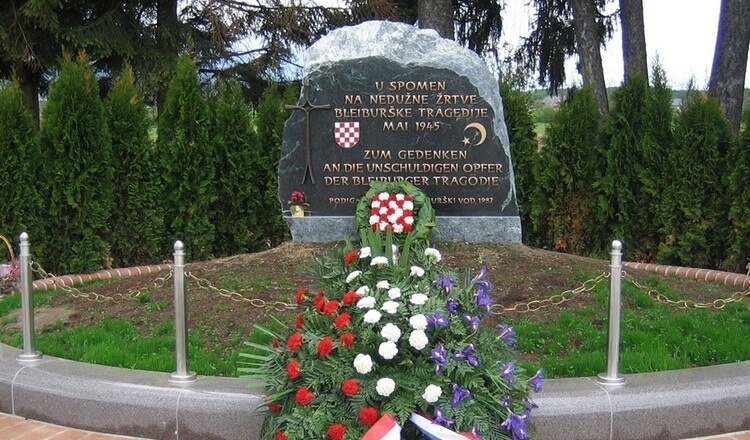 As attendance of the commemoration grew over the following few years, held annually on Mother’s Day, Yugoslav intelligence agents began monitoring, threatening, and killing Croatian émigrés involved with the Bleiburg ceremony. Communist Yugoslavia Secret Police/UDBA operating internationally hunted down their Croat political opponents with beastly brutality. “The atrocities and mass murders committed by Josip Broz Tito’s Partisan units of the Yugoslav Army immediately after the Second World War had no place in the conscience of Socialist Yugoslavia. 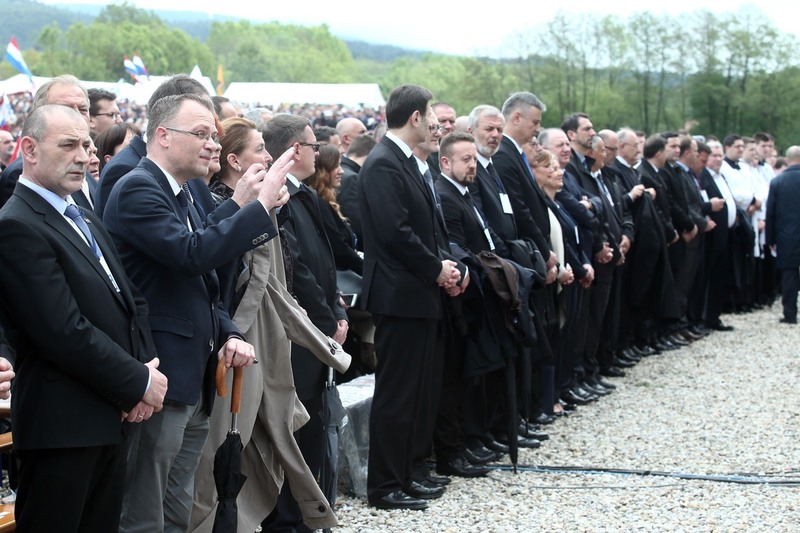 More than once, the annual Croatian commemoration of the Bleiburg victims was subject to attacks carried out by the socialist Yugoslav state. Abroad in the West, on Austrian soil, the Yugoslav secret service (UDBA) did not shy away from murdering the protagonist of the Croatian memory culture, Nicola Martinovic, as late as 1975. The official history was aligned with a firm interpretational paradigm that called for a glorification of the anti-fascist ‘people’s liberation resistance.’ With the breakup of Yugoslavia and its socialist regime in 1991, the identity-establishing accounts of contemporary witnesses, which had mainly been cherished in exile circles abroad, increasingly reached public awareness in Croatia and Slovenia. The collapse of communism, the 1990’s war in Croatia, and the post-war efforts at reconciliation and EU integration all contributed to the public changes in the meanings, symbolism, and political significance of the commemorative events at Bleiburg. 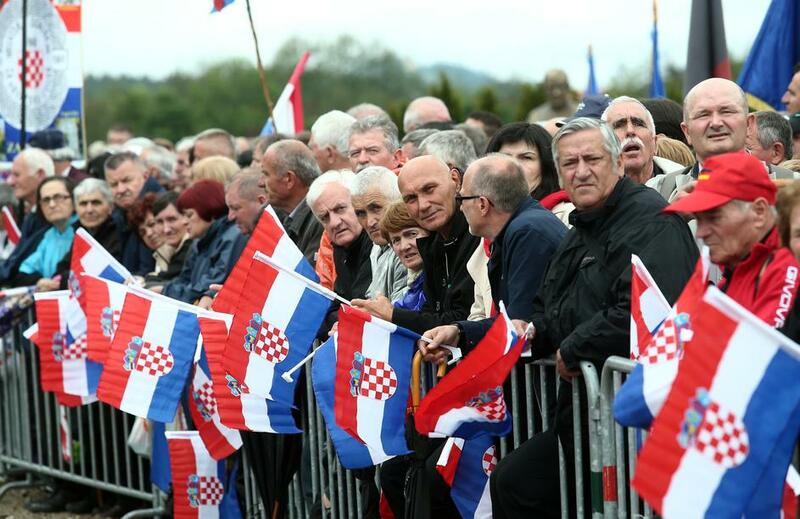 The annual gathering at Bleiburg Field transformed from an illegal commemoration attended largely by émigrés into a commemoration of victims of communist crimes and a proud symbol for all Croats who had sacrificed themselves for the freedom and independence of the Croatian state. 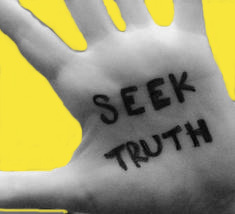 In 1990, on the 45th anniversary of the Bleiburg massacre, the Croatian media reported on the commemoration at Bleiburg for the first time in Croatia, but such reporting, especially the left-leaning media, has often continued with utter brutally untruthful allegations against innocent victims, often miserably implying they (or many of them) deserved death even if they were not ever tried in court or found guilty, fueling international media to do the same. That’s the talk of executioners who do not want to bear any guilt for their crimes that sadly still lingers strongly, preventing the victims to rest in dignified peace they truly deserve. Might as well put back Tito’s bust in the office Kolinda if you dont want to visit the monuments!!! Thank you Ina.. Lest We Forget. Important to remember these events in the hope it will prevent it happening again. It won’t of course. We don’t learn from our history lessons! May we never forget those who sacrificed their lives and those whose young lives were snuffed out in any conflict..
Prayers sent for a better brighter and more peaceful future..
May God bless all those whose lives were brutally ended by the “antifascist” liberators of the “Yugoslavian” people. Know that you are not forgotten. Know that your struggles are not forgotten. Contrary to prevailing political ignorance, unwillingness and shameless traitorous utterings, know that there still exist those of your fellow countrymen who honor your sacrifice and live in the hope that one day you will be repatriated to the land of your forefathers. And to our political elites: “Justice delayed is justice denied”. Ina thank you so much for posting. This is our Armenian genocide and Ukrainian Holodomor….. this is something Croatians and the international community needs to learn more about. Author Ivan Prcela wrote the book Operation Slaughterhouse, in which he interviewed survivors of this heinous slaughter, Vinko Nikolic, and others, also wrote a number of books on this tragedy. Sadly, not enough has been translated into English and other languages. I am grateful to Rulitz for this new book, which I ordered a few months ago and Nikolai Tolstoy’s work as well. This post WW2 slaughter needs to be disseminated across Croatian and western media, commemorated internationally in our communities, and taught in schools. Sadly we as a community abroad do not do enough to keep the memory of the victims alive. Nothing was said in my Croatian parish on the weekend. Nothing. Shame. The videos (available online) from the mass graves like Huda Jama are gut-wrenching. The victims bodies were hidden behind layers and layers of concrete and lime. The communists thought they could hide this evil forever. Human remains piled on top of each other, piles of braided human hair from peasant women, children clutching crucifixes. I can’t even imagine the horror these poor people experienced as they starved or suffocated to death. Where was the international community? Why is the British Archive still sealed on these events? Yes we must keep spreading this truth, Veronika, and not permit political pressures to hide the truth of these awful crimes. I was travelling with the bosnian government army in the summer 1995 offensive on the roads there were dead serb troops everywhere. 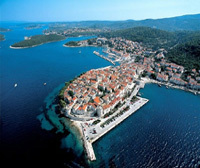 What a beautiful view, everyone who survived the serb genocide in Yugoslavia should had seen it. That is what I call true liberation. Hanka Paldum the famous former Yugoslav love singer sang beautiful war songs as we forced the serb troops into war, she was very brave and was standing in the front. She was one of those naive people before the war who used to sing communist songs until the Serbs raped and genocide her people. Then she became a good girl…. Wow! So many have lost their lives. Great gesture to acknowledge this fact and commemorate them as well. Great post and excellent pictures. What a gut-wrenching excerpts to read, but definitely important to know. I found it very difficult to find words after reading through this post the first time. Very, very difficult to get through and it just makes me feel sick as to how such human tragedy can be ignored or somehow “justified”. You have to be completely heartless and soulless to think any people, no matter their ethnicity, religion, political ties or actions deserves to go through that as reparation. If we can offer trials to the most evil of fascist leaders, what made these Croats so much less deserving of justice and a fair trial where necessary? I will keep hoping we never forget these victims and that one day all traces of communism will be sent to the garbage pile instead of being glorified. Oh yes, Kat – well put.